themail archives Good afternoon, Madam Chairman and members of the Committee. I am Natwar M. Gandhi, Chief Financial Officer for the District of Columbia. Thank you for the opportunity to testify today regarding the D.C. Health and Hospitals Public Benefit Corporation (PBC). PBC faces many challenges. My comments will address only the financial challenges it faces and the steps the office of the Chief Financial Officer (OCFO) has taken to ensure that PBC operates within its annual appropriation, in accordance with the letter and spirit of applicable laws. The table attached to my written version of this testimony shows that, with the exception of FY 1995, the PBC has for every fiscal year since 1990 exceeded its annual appropriation. Between fiscal years 1990 and 1999, the PBC accrued an operating deficit of approximately $197.8 million. At its current rate of spending, we project that PBC will post a $67.3 million deficit by the end of FY 2000. In the past, cash advances were made to PBC ostensibly to cover its cash flow shortfalls-in other words, to provide PBC with working capital while PBC accounts receivable converted to cash. However, the U.S. General Accounting Office (GAO) has questioned the legality of these cash advances under the Anti-Deficiency Act (31 U.S.C. 1341 et seq.). The Anti-Deficiency Act makes it a criminal offense for Federal and District officers or employees to spend or obligate money that is not available in an appropriation for expenditure or obligation. My office and the Office of the Corporation Counsel have prepared and submitted a joint response to GAO inquiries concerning PBC funding. The response asserts, among other things, that the cash advances to PBC were lawful. Nevertheless, based on a review of recovery of accounts receivable, I have concluded that it is advisable to end the practice of making cash advances to PBC. The assumption has always been that PBC would collect accounts receivable in amounts sufficient to repay whatever cash advances were extended to it. The record shows, however, that this simply has not been the case. In any event, the FY 2001 appropriations bill for the District, approved recently by the House, specifically prohibits any form of funding for PBC in excess of its annual appropriation. In other words, the practice of making cash advances has been invalidated. For practical purposes, this means that during FY 2001, PBC will be required to operate within the amount appropriated for it; the District will not be able to increase or supplement the PBC's annual subsidy of $45.3 million. I cannot tell you whether the amount of money appropriated for PBC is adequate. That is a determination for health care professionals to make in consultation with the District's policy-makers and elected leaders. Their challenge will be to balance the public health care needs of the city's most vulnerable citizens with other pressing priorities and requirements that the city faces. What I can tell you is that much closer financial supervision of PBC is required if the District is to properly discharge its financial management responsibilities under the law. As required by law. I have reported to the President, the U.S. House of Representatives and the U. S. Senate that a potential violation of the Anti-Deficiency Act for FY 2000 may occur unless a supplemental appropriation, or an inter-appropriation transfer, is approved for PBC by Congress. As things stand, the financial picture for PBC in FY 2001 is bleak, as well. PBC will have an appropriation of approximately $149.7 million for FY 2001. This contrasts with actual expenditures of roughly $159.3 million in FY 1999, and projected spending of $206.6 million by the end of FY 2000. Moreover, of this $149.7 million appropriation, only the $45.3 million annual subsidy is certain. Funding from so-called "other" sources, principally Medicaid and patient payments, could be considerably less than the $78.2 million currently projected for FY 2001, as could the $26.1 million expected from infra-District agreements. Decisions made regarding restructuring and transition costs could further reduce PBC's available resources. A number of scenarios based on different assumptions regarding the structure of the PBC and the services it provides have been shared with me. I am sure these scenarios will continue to be refined. However, the common factor in all scenarios is that the PBC is projected to exceed the amount appropriated to it for FY 2001 by approximately $60 million to $80 million, regardless of whether the PBC is restructured or not. Even with a major restructuring, the anticipated appropriation for FY 2001 will be insufficient to sustain PBC operations if transition costs are significant, as they are likely to be. Severance pay and other related expenses could create added short falls for FY 2001, even though long term savings may ultimately result. Under all options I have seen, the PBC will be in deficit against its FY 2001 appropriation early in the fiscal year. A proposed spending plan that sets forth realistic projections of PBC's operating expenses, as well as the one-time transition costs associated with "right sizing" PBC, is imperative. Only with this information in hand can the District weigh the financial alternatives that may be available as a way out of PBC's financial predicament. Among things we should consider are reallocating planned FY 2001 spending, and identifying whatever other sources might be available to ensure PBC's solvency over the long run. In the meantime, to better monitor and account for PBC finances, the OCFO has assumed responsibility for PBC's bank accounts, into which all PBC receipts will be deposited, and from which all PBC expenditures shall henceforth be made. These accounts will be PBC-specific, thereby fulfilling the requirement of the PBC's enabling statute for the establishment of a separate fund for PBC. The OCFO will establish whatever financial accounting procedures are required to track expenditures by fund source. In addition, the OCFO will henceforth require that PBC intra-District funds be expended only in so far as they are supported by Memorandums of Understanding (MOUs) between or among the PBC and the various District government agencies. Furthermore, I have advised the PBC Board that during FY 2000 grant money from whatever Federal, private, or other source, including PBC Foundation grants, can lawfully be accepted, obligated, or expended only in accordance with the provisions of section 136 of the District of Columbia Appropriations Act, 2000 (Pub. L. 106-113). Section 136(b)(2)(A) of that act requires the CFO to submit reports on all grant funds to the Control Board. Under section 136(b)(2)(B) of the act, Control Board review and approval are required before grant money may be accepted, obligated, or expended. To implement these provisions, the OCFO will monitor closely all grant money made available to the PBC. We are also conducting oversight of the accounts in which the PBC Foundation has been keeping grant funds. We are, furthermore, investigating concerns that have arisen as to the independence and fiscal management of the PBC Foundation. Among other things, the OCFO is working closely with PBC Foundation counsel to review the nature and propriety of the Foundation's relationship to the PBC; the Foundation's nonprofit status under section 503(c) of the Internal Revenue Code; and Foundation practices in regard to the handling of grant funds. I have asked the PBC Board of Directors to develop the kind of realistic spending plan that I described earlier. 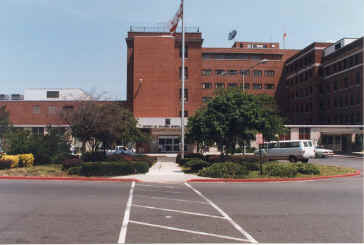 As discussed, this spending plan will serve as a basis for right sizing PBC operations in general, and D.C. General Hospital in particular, and for working with the OCFO to apportion the PBC's annual subsidy in such a way as to avoid exceeding the PBC's appropriation for the fiscal year. The spending plan should be used to address the PBC's foreseeable cash flow shortfalls. I have insisted, however, that it also provide for the safety and well being of those who rely on PBC for their health care. Working with the PBC Board to develop the spending plan is one of my top priorities for FY 2001. Stan Jackson, my chief of staff, is personally coordinating this matter for the OCFO. Stan is in contact with the interested parties on a daily basis. In conclusion, it is my duty as CFO to ensure that all District agencies, including the PBC, are managed in a financially prudent, fiscally responsible manner, and operated within their appropriated budgets. At the same time, however, I am acutely aware of the humanitarian concerns that underlie financial considerations. PBC's fiscal crisis puts in jeopardy the health and well being of the city's most vulnerable citizens. My staff and I are confident, however, that citizens and government officials working together can produce solutions that will enable the District to satisfy public health needs as well as fiscal imperatives.